Automation is a very powerful tool when it comes to marketing. It can help you get more things done within lesser time. Chatbots are one of the most popular forms of automation in marketing. A Chatbot can be defined as a computer program that is designed to stimulate conversations with humans over the internet. Powered by AI technology, a chatbot is like an assistant that uses text messages to communicate with users. It can be compared to a wind-up toy which you build to carry out a certain task or a series of actions. Once you program it, you just wind it up and sit back, while it starts performing those actions or the task, all by itself. In this case the task is to converse with the users. Programmed correctly, a chatbot can perform the task accurately and efficiently, while saving tons of your time and efforts. You can use Chatbots for business to answer product inquiries, explain ordering procedures and trouble shooting. Over time they begin to understand user preferences and deliver faster and better services. Chatbots are basically of two types – simple chatbots and smart chatbots. Simple chatbots are those that work as per the pre-prepared commands and smart chatbots are advanced chatbots that are trained. Simple or command-based chatbots work on the basis of certain pre-written keywords or commands. The developer has to write each of these commands separately. The bot answers the questions based on these keywords. As against these the smart or AI based chatbots can answer any question, irrespective of its ambiguity. They use natural language processing to create answers from scratch. These chatbots record all the words typed in the customers for processing at a later date.Over time they learn from the past questions and answers and become smarter. Why use a chatbot for your business? Not every business can be adequately staffed to handle the 24/7 onslaught of product inquiries and customer queries. This is where chatbots can pitch in. As against humans, chatbots can handle multiple conversations at one time. They can take the load off your customer support team by acting as the first point of contact. They can be used to screen customer calls and redirect them to human agents when required. They can help customers in making the right choice. Apart from improving your organizational efficiency, they can also make your marketing campaigns highly interactive. How to Use Chatbots for business? One of the first bots of Facebook Messenger was 1-800 Flowers. 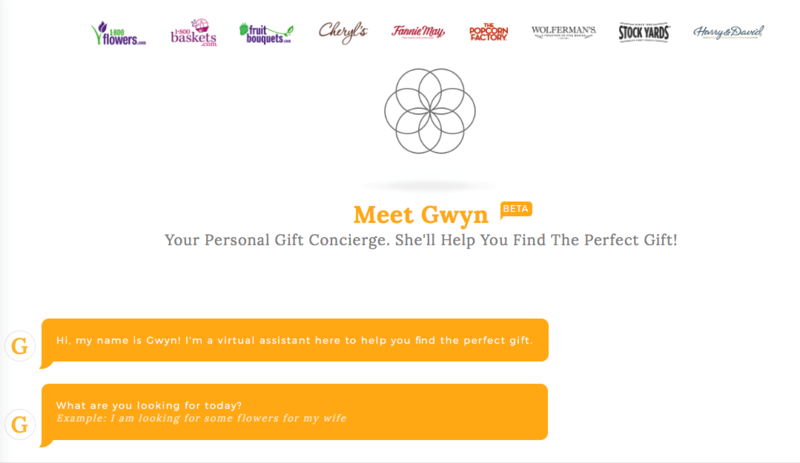 The main function of the bot was to help users send flower and gifts directly through Facebook Messenger. Apart from processing orders and sending shipping updates, the bot also offered gift suggestions. Customers preferred to place their orders via the Chatbot since they could do it within minutes and without calling the company or visiting their website. 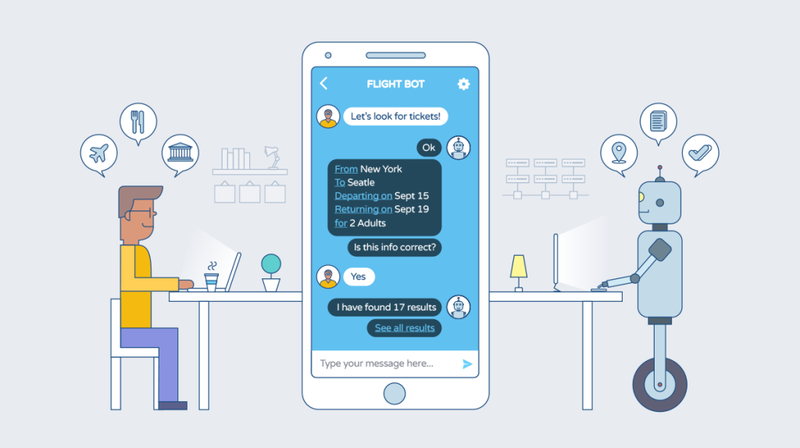 The Bluebot (BB) is the chatbot that the Dutch airline KLM has designed to help its passengers book their flight tickets. BB provides its users, their booking confirmations, check-in information, boarding passes and flight information, as and when needed. It also sends them reminders and answers their queries, all via the Facebook Messenger. You can even ask the bot for some packing advice, now that it has been integrated with Google Home. Your customers can get their queries resolved without having to wait for an operator to answer their calls or scroll through a number of your FAQ pages to find the answer they are looking for. Today most people use internet through their smart phones. However, that has also made them very impatient. They only give you a few seconds to fulfil their initial request. If you cannot attend to them within this time, you end up losing your prospects, almost instantly. So, do you think you are staffed adequately enough to efficiently handle this 24/7 onslaught of product inquiries, sales order processing and customer support requests? Will you be able to respond quickly and efficiently to each and every customer who seeks your support? If not, a Chatbot is where you should turn to. Chatbots can interpret information that is keyed in the by the customers and also pinpoint those items within the shortest possible time span. They are much faster than humans when it comes to responding to your customers. How many times have you regretted making a call that puts you on hold, much against your wishes? Listening to the boring music playing until a customer care agent says ‘Hello’can be extremely annoying. Thankfully, these times are coming to an end. With bots in place, you don’t have to worry about waiting to get your queries answered. They are slowly replacing every form of customer contact including live chats, emails, and phone calls. Chatbots are virtual robots that never get tired of responding to customers. Their job is to carry out the task that they are assigned and that’s all they do. They don’t need breaks in between like humans do. They don’t quit jobs even when they are overstressed. All that your customers want is for their queries to get answered, in the quickest possible way. If you can’t do this through humans, you can very well do it through bots. You can use a lot of techniques to drive traffic to your website; but there are only a few things you can do to keep your visitors engaged on your website. One of them is using chatbots. A Chatbot makes up for an easy source of information that provides answers to every query of a visitor. By improving user experience, it can increase engagement and boost sales efficiently. Being in business is all about staying relevant. Using chatbots is one of the most effective ways to do that. By establishing a direct line of communication with your customers, Chatbots help you understand their changing preferences and expectations. By using them effectively you should be able to figure out the right changes to make in your marketing strategies. Most businesses even build customer survey questionnaires into their chatbot scripts to get more insights about their customers. This will help them be in line with their customer expectations and keep improving on their services in a consistent and continuous way. Unlike humans, chatbots don’t have limitations with regard to time and efficiency. They can handle multiple queries simultaneously and offer quick solutions to your customers, while complementing your task force. Having to employ and train more people is one reason that stops many businesses from growing up to their full potential. But chatbots change it all. They start adapting as and when you grow. They have absolutely no limitations. One of the important chatbot benefits is that they offer a conducive platform to broadcast your business. There is no telling what massive audiences they can reach. They maintain friendly contacts with customers on a constant basis, while eliminating the annoyance of cold calling. You can use them to push notifications to showcase any new products or services. The Chatbots make sure the notifications are sent to the right people who can appreciate such products or services. With such a receptive audience it becomes easy for you to explain the features and benefits of your new products or services. You can customize your Chatbot to cross-sell or upsell your products. So if you have similar or related products, Chatbots can make it easier for you to sell them by pitching meaningful benefits. So if a person is buying a camera, the chatbot can actually make him purchase lens through such pitching. Even expensive products may be pitched by explaining the value that they add to the customers’ lives. Chatbots can do all this while cuttingdown your costs of employing a huge sales force. ChattyPeople: If you are a basic user, you will be happy to set things up on this platform. It is a platform that requires no coding experience and allows Facebook commerce. FlowXO: This is the platform you need to use if you want to create fully automated chatbots. It is very flexible. BotKit: With the backing of an active developer community, Botkit supports FaceBook Messenger, Twilio, and Slack. It is an open-source chatbot toolkit. Chatfuel: If you are a pro developer waiting to create your own chatbot, this is your platform. You will love its simple interface. MEOKAY: Be it novice users or developers; both are bound to fall in love with MEOKAY. Its chatbot integration is flexible and reliable. Advanced users can use the advanced functions of this platform. ai: This is one platform that makes use of natural language processing that makes conversations believable. Using this platform you can set up your chatbot in just three easy steps. Customer service is the main goal of every business that wishes to grow. The use of Chatbots can make it easier to achieve this goal, without any errors or limitations of human intervention. It is all about building humans who are trainable, dependable, and scalable.